Over the years of the making of the Living Tree Orchid Essences, Don has been carefully photographing each orchid at the time of the making of the essence. In August 2007 we had the photographs reproduced as a set of cards, presented in a small attractive box. 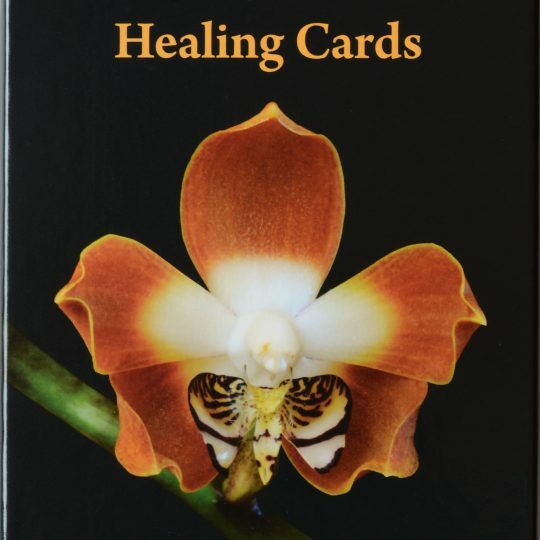 These cards have been a great hit with our customers, and we have had many requests for a 2nd set, showing the orchid essences made since that time. Along with a revised first set, the second set is now available for pre-order, with delivery now available. There are numerous ways to work with or use these cards. In effect they are tools for the intuition, and therefore we know that there are myriad ways to use them. But one very effective method is to quietly flip through the cards, and notice which cards appeal to you most strongly, or create an especially strong response. Read the information for that orchid or that combination, and you may see reasons why you were drawn to it. Work with that essence or essences for a few days or a week. Or have all the cards upside down on a table, and pick one or two with the eyes closed, and see what gentle wisdom the orchids wish to offer you today.